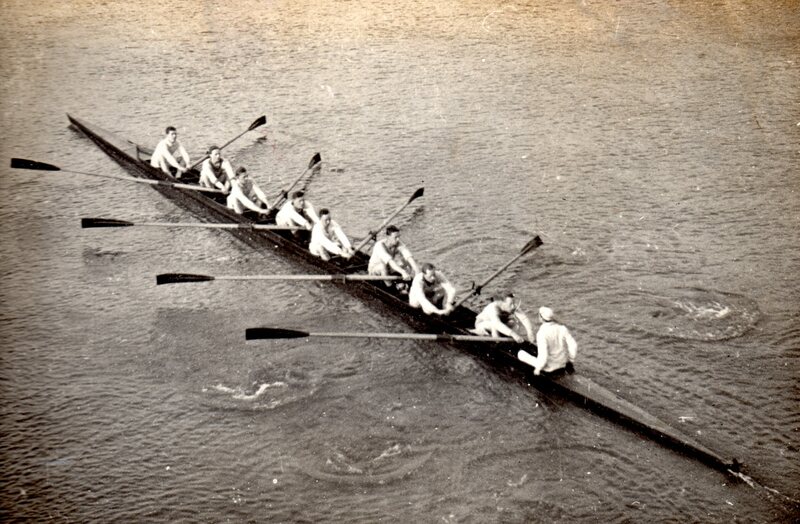 Rowing at Hammersmith sometime in the 1920s. Tim Koch posts an old letter. 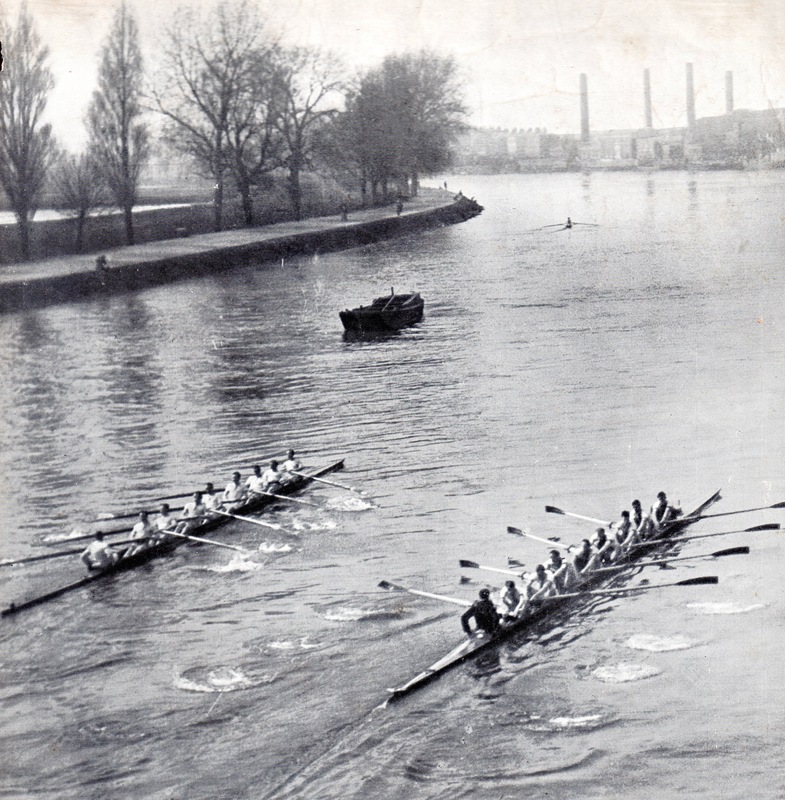 In 2010, I posted extracts from a letter that I had found in the Auriol Kensington Rowing Club archives containing memories of the then Kensington Rowing Club in the 1920s and 1930s. It was sent to the AK club secretary in the mid-1990s by Tom Everson (born 1908). 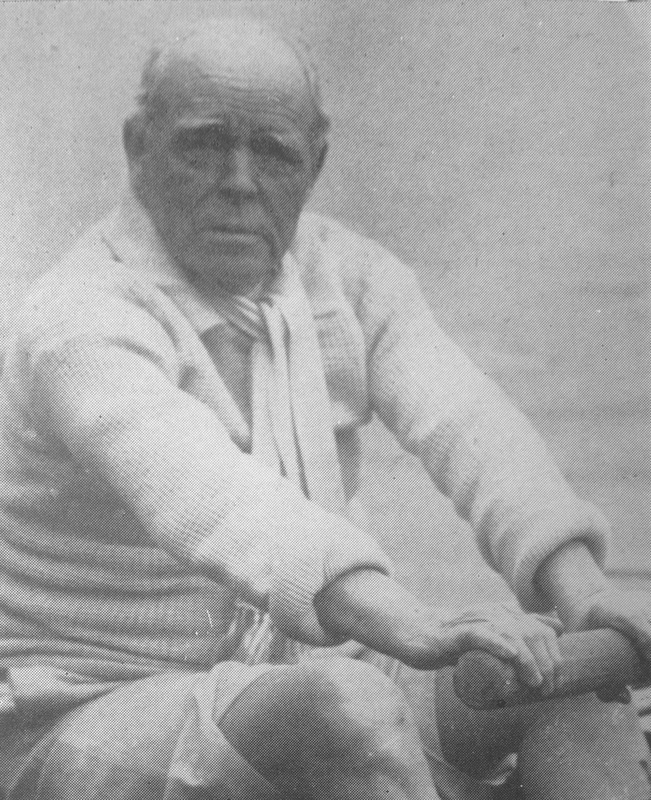 Tom was active rower with Kensington between 1928 and 1939, but he retained an interest in the club and its activities until his death. As may be expected of a man that went to a prep school in the inter-war period, Tom’s prose is pure P.G. Wodehouse. * Further, Tom had clearly never heard of political correctness. After eight years, I think that his reminiscences are worth repeating. 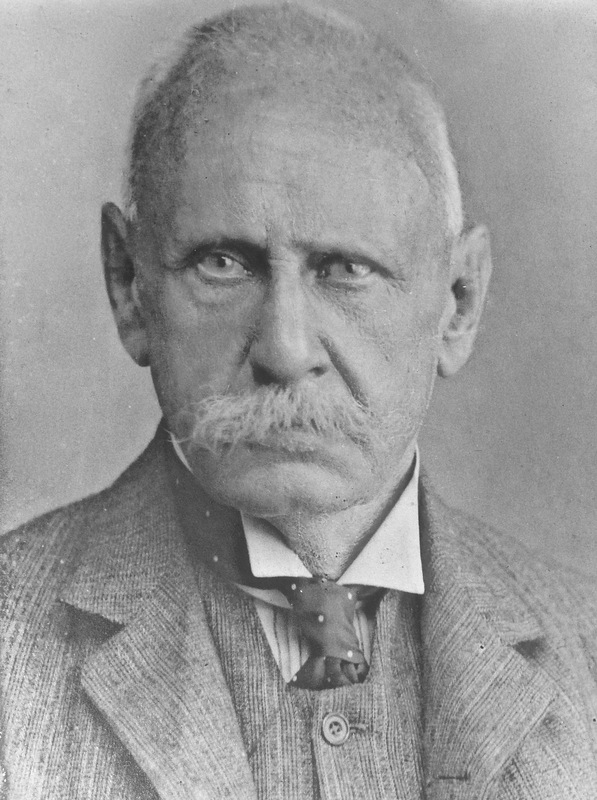 Piggy Eyre pictured in his 80s. 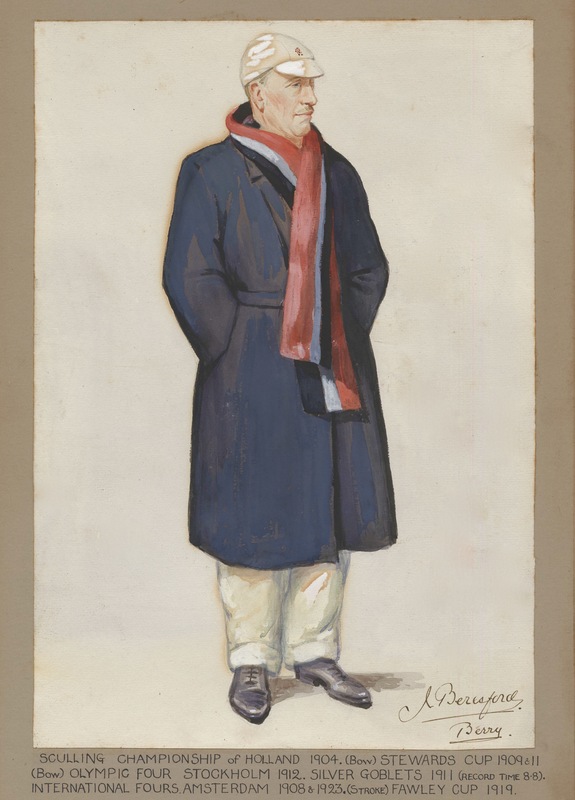 He was a member of Thames Rowing Club from 1869 until his death in 1939, winning several Henley medals in the 1870s and 1880s. In his later years, he was also a member of – and a very generous benefactor to – less fashionable clubs such as Kensington and Furnivall. John Beresford Senior. Picture: Thames Rowing Club. Henry Castlemain. Old prep school friend of mine – went to sea – gained 2nd mates ticket – swallowed the anchor – was my best man. Killed in the war, defusing a Jerry bomb in Liverpool. Captain M.O. ‘Broady’ Broadbridge MC. Broady Broadbridge. 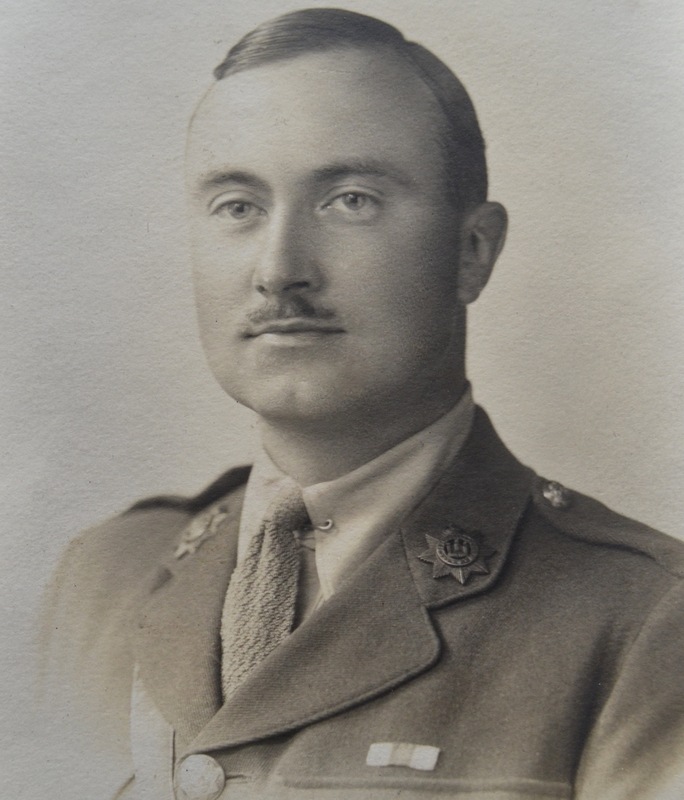 A 14-18 veteran, got the Military Cross, had a fixed idea on the absence of intestinal fortitude in all foreigners. Had two daughters that he referred to as his ‘coxless pair’. Major C.E. Liles claimed 500 prizes for rowing, cycling, running, walking, boxing and yachting. Major Liles. President for a number of years. 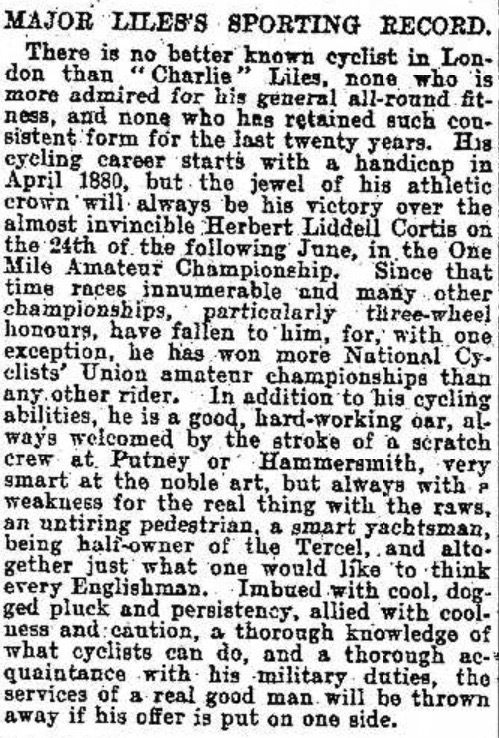 A keen cyclist, in fact, I believe, in the early years of the century, he was something of a pioneer in organising bicycle infantry units. He was five foot nothing in height, had a round bullet head and a walrus moustache. In spite of his advanced years, he would come down, collect an unwary crew of shy newcomers and take them afloat. He always stroked, and crammed in as many as he could to the minute, racing up and down his slide like a steam piston with his moustache puffed out in front of him. 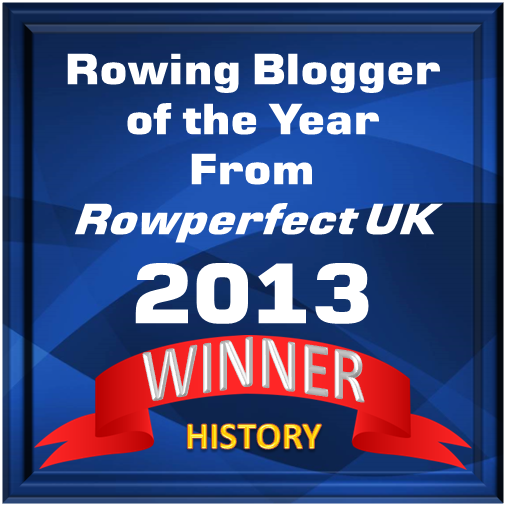 Tradition has it that he was once stroking a leading crew in a race when a certain Frenchman in the boat suddenly threw away his oar, waved his arms in despair and shouted ‘I CAN ROW NO MORE. I DIE. I AM OUT OF BREETH’. 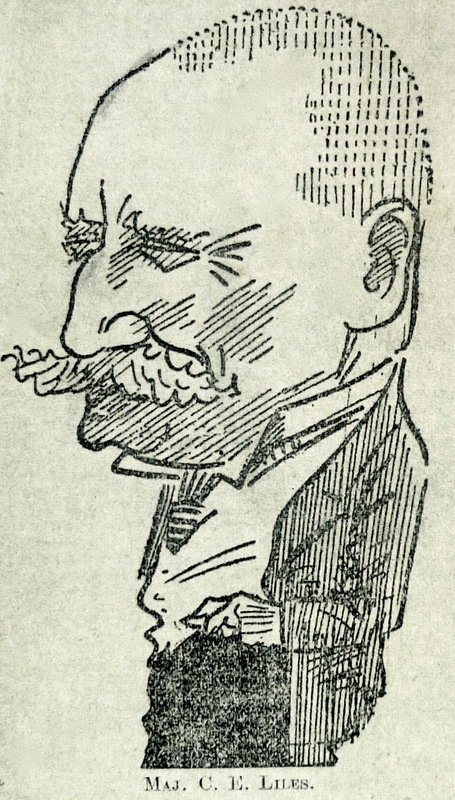 ‘The Major’, one of those people who look much the same in a caricature as in a photograph. “Daily Mail”, 26 December 1899. Major Liles commanded the army’s ‘Cyclist Corps’ (actually a volunteer battalion) between 1895 and 1904. The ‘offer’ referred to at the end was to take 100 marksmen mounted on their own bicycles to the Boer War (1899 – 1902). It was eventually refused by the War Office. Eckhaus. A little blond German with a ready smile. I was never sure where he fitted in the German political spectrum. He might have been Semitic in which case our nickname for him of ‘Adolf’ could have been hurtful, but it never seemed to worry him seriously. Just before the War (we had several members who) belonged to the ‘Westminster Dragoons’ (a Territorial Army unit). Rude non-military types like me referred to them as ‘Hyde Park Lancers’. There was a tendency for ‘bum freezer’ mess jackets to appear at Club Dances. SERIOUSLY though, I love to remember bitterly cold still frosty Sunday morning when we manned the boats. The first mile was HELL with hands stiff and numb with cold. Then the blood would start circulating and the boat would travel smoothly over the dead calm water as we settled down to alternate firm and light paddling up to the Doves at Richmond where we landed for a sandwich and a glass of beer. Then back in the afternoon. We gained a wonderful belief in ourselves, I remember few things in life I have enjoyed so much. My eternal thanks to the Club. *I cannot mention P.G. Wodehouse without quoting a passage from Joy in the Morning (1946) where Bertie Wooster refers to G. D’Arcy ‘Stilton’ Cheesewright. 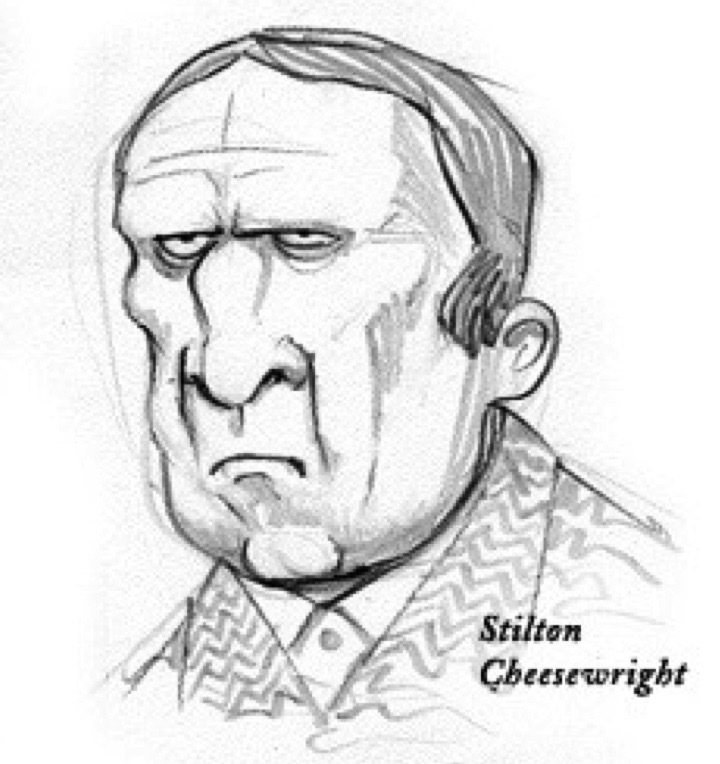 Stilton Cheesewright by Kevin Cornell. At Eton, Stilton had been Captain of Boats, and he had rowed assiduously for Oxford. His entire formative years, therefore, as you might say, had been spent in dipping an oar into the water, giving it a shove and hauling it out again. Only a pretty dumb brick would fritter away his golden youth doing that sort of thing – which, in addition to being silly, is also the deuce of a sweat – and Stilton Cheesewright was a pretty dumb brick. A fine figure of a fellow as far northwards as the neck, but above that solid concrete.